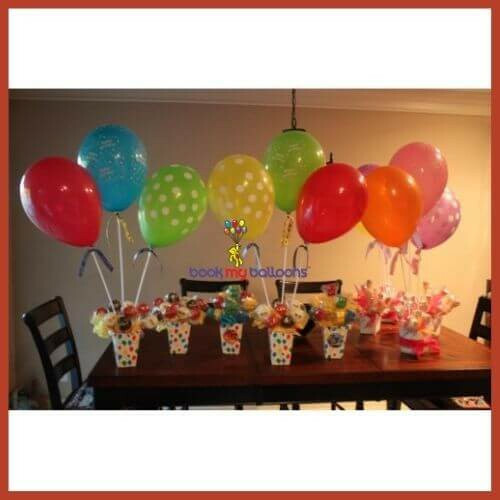 Hold balloons easily with these plastic sticks and cups. 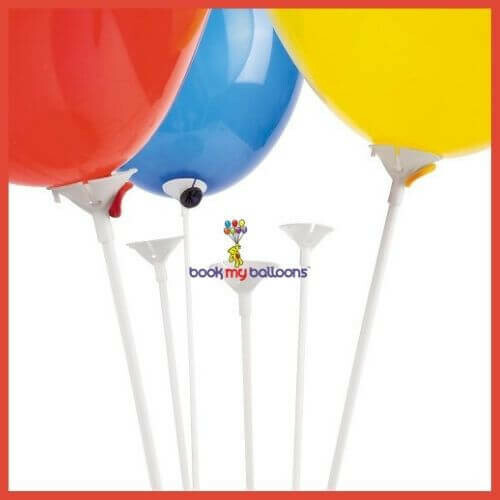 A necessity for decorations and gifts, these colorful balloon sticks are a party essential and an easy way to create party favors. 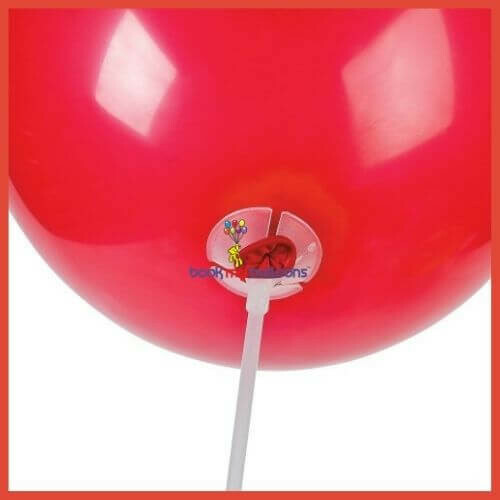 Place balloon sticks together for a balloon bouquet or centerpiece to match your party theme. Assorted colors.